Beginning development in the late 80s, builders created large, sturdy homes that truly stand the test of time. 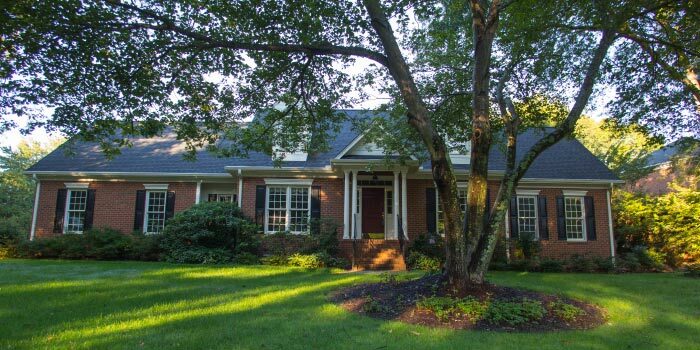 Construction styles run the gamut from colonial to craftsman, to federal and beyond. There is a home to suit every taste and size of family, with 3,000+ square foot houses being the main offering. The beautiful residences are draped in brick and wooden finishes, externally, and feature well-designed, updated interiors. Prices at River Walk average at about $400,000, but the few remaining empty lots here can be purchased for as low as $50,000. 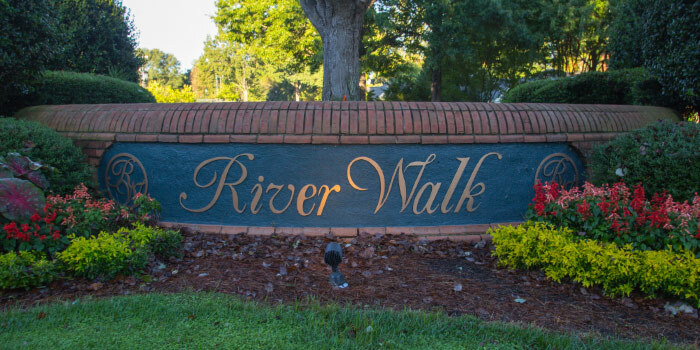 As far as amenities go, River Walk is on its game with perks like four miles of paved walking areas, a bodacious clubhouse, a fitness facility and a community pool. The pool is home to its very own, award-winning swim team. 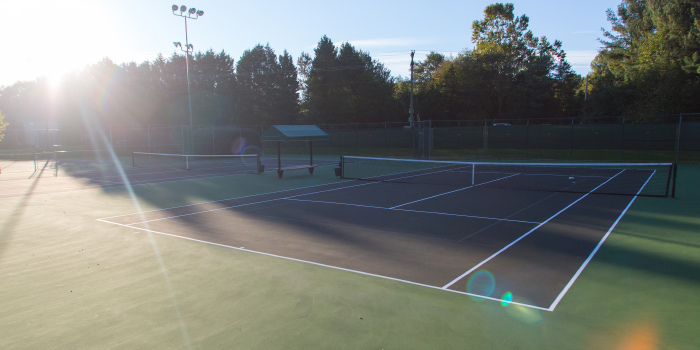 Residents here tend to be enjoying of physical activity, indulging in tennis games at the neighborhood courts and playing on the playground. Down the road from River Walk are supermarkets, drug stores, restaurants, churches and banks. Homeowners will never have to drive far to get what they need. I-85 is close, so commuting to one of the area's many thousands of jobs will be an easy task. The schools in the district are phenomenal, which only serves as an ever bigger driving factor to purchase real estate at River Walk. Call us to see these beautiful homes.